Unique events of all sizes – from small, intimate performances to big, international headliner shows – can provide a unique attraction to your auction table. It can appeal to a wider range of people and inspire your fundraising event guests to participate in your auction. By encouraging more participation on various auction items, you will generate the opportunity for higher bids and ultimately raise more funds for your charity or cause. Helping Hand Group provides a wide range of auction item packages that feature unique events. Moreover, these packages come with various additional features such as food and drinks, full service, signed memorabilia related to the event, and more! Enquire with our team for our available options for fundraisers. ANZ Stadium in Sydney will be closing in October 2019 for a period of two years. We now have available some experience packages for fundraising silent and live auctions that can provide your guests the opportunity to experience it again before it closes! This auction item package includes four tickets to access a luxury VIP private suite for one of the biggest blockbusters on the Australian sporting calendar – State of Origin 3 – on July 10th 2019, at ANZ Stadium, Sydney. Your auction winners will enjoy superb food, drinks and full alcohol service as they experience the intense rivalry between the Blues and the Maroons. To top it off, they will also receive their choice of either a beautifully framed squad signed 2019 NSW or Queensland jersey. A unique auction item for fundraisers that is sure to turn heads! 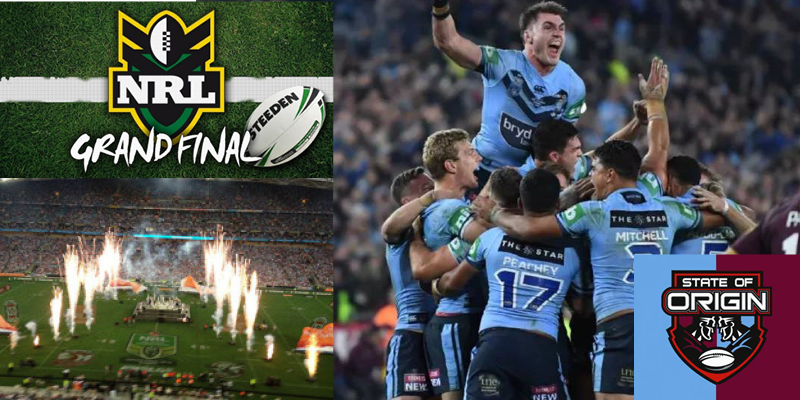 This auction item will give your auction winners four tickets to a luxury VIP suite for the biggest game on the Rugby League calendar – the NRL Telstra Premiership Grand Final – on Sunday, October 6th 2019, at ANZ Stadium, Sydney. They’ll be part of the action as they watch from the best seats in the house while enjoying superb food, drinks and full alcohol service! To top it off, they will also receive a hand-signed framed jersey featuring the 2019 Grand Final winning team – their own one-of-a-kind item! Contact our team for more information how to add these auction item packages to your next fundraising auction at no cost to your budget. Previous PostPrevious Helping Hand Group has raised and donated $110,000,000!